A judge has ruled that Baskin-Robbins' "commercial factor" charge on ice cream and related products is not an unauthorized additional fee imposed on its franchisees as the Association of Independent BR Franchise Owners claimed. The association, representing 84 stand-alone Baskin-Robbins stores, asserts that it was an additional fee because the franchisor's required supplier Dean Foods is merely a conduit that collects the fees for Baskin-Robbins. 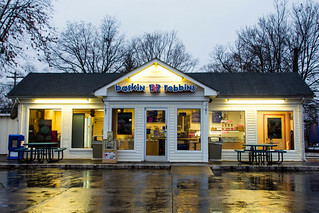 The lawsuit, Association of Independent BR Franchise Owners v. Baskin-Robbins Franchising, LLC, was filed in U.S. District Court of Massachusetts, and in the action for declaratory relief, the franchisee association seeks a judgment that Baskin-Robbins has no contractual right to charge its franchisee a "commercial factor fee." Attorney Peter Greenfeld, representing the association, explained Baskin's "commercial factor" saying, "This is not a situation where a franchisor demands a rebate from a vendor and the vendor can chose to incorporate or not incorporate some or all of that demanded so-called rebate." He said the bottom line is that Baskin-Robbins tells Dean Foods what to charge and when, including on tubs of ice cream, and Dean Foods collects those monies from the franchisees and pays it to Baskin-Robbins. The attorney added, "Running the fees through Dean Foods does not change the fact that Baskin-Robbins collects millions of dollars in fees per year from its franchisees through this so-called 'commercial factor'," and the amount collected comes to thousands of dollars per stand-alone store. He emphasizes that the franchisee association members in the litigation do not include the combo Dunkin Donuts/Baskin-Robbins units. So, what is the total amount at issue? Greenfeld said the association calculates that it could be approximately ten million dollars a year. Although Baskin-Robbins refuted those numbers in oral argument and otherwise, it did not state what the amount was. The franchisor claimed they have disclosed the commercial factor fee's existence to franchisees, but the franchisee association disputes it. The BR association's Memorandum of Law in Support of its Motion for Summary Judgment gives an example of the add-on fee to products, showing that from December 2014 to December 2015, it appears that franchisees paid $10,599,785 in commercial factor fees, an average of about $7,310 per stand-alone Baskin-Robbins franchise in just one fiscal year. Judge explains difference of "commercial factor" and "commercial factor fee"
In his September 27, 2017 ruling in the case filed in U.S. District Court of Massachusetts, Judge William G. Young states that the association views the dispute fundamentally as concerning the scope of contractually permissible fees, contending that because the fully integrated franchise agreements do not include a "commercial factor fee" as part of the agreement's fee provisions, franchisees have no contractual obligation to pay such fees. But on the other hand, Young says Baskin Robbins frames the dispute as one concerning product pricing, arguing that the commercial factor is simply a franchise fee charged to its supplier Dean Foods, that Dean Foods then passes on to the purchasers of their products, the franchisees. The judge also explained that Baskin-Robbins contends that the "commercial factor" that Dean Foods receives from the franchisees is not a "fee" charged to the franchisees at all, but rather a component of the product "price" of the ice cream and related products. Under this interpretation, franchisees cannot avoid their obligation to pay the purchase price of ice cream products from Dean Foods. The association asserts that Baskin-Robbins itself describes the fee it charges its supplier Dean Foods as a "commercial factor fee" in its Supply Agreement. And functionally, the commercial factor is a fee charged by Baskin-Robbins to franchisees because Dean Foods is merely a conduit that collects the fee for Baskin. Baskin-Robbins gets down to basics: What's the meaning of "fee," of "price"
In support of its contention that "commercial factor" and "commercial factor fee" are two entirely distinct terms describing two completely separate components of the economic relationship among Baskin-Robbins, Dean Foods and franchisees, Baskin Robbins cites that Black's Law Dictionary is a standard resource for the determination of the meaning of words used in a legal context. Blacks defines "fee" as a charge or payment for labor or services," but it also defines "franchise fee" as a fee paid by a franchisee to a franchisor for franchise rights. However, "price" is defined as "the amount of money or other consideration asked for or given in exchange for something else; the cost at which something is bought or sold." As background, the judge explained that prior to 1998, they either paid no royalty fees or paid a small percentage of "continuing franchise fees" (0.5%), and purchased the vast majority of their ice cream products from the franchisor or an affiliate. As a result, Baskin-Robbins derived its primary revenue from the sale of ice cream products. Then in 1998, the franchisor offered franchisees a "royalty conversion program" that raised or imposed for the first time a continuing franchise fee of 4.9%; raised the advertising fee paid by the franchisee to 5.0%; lowered the cost for ice cream products and other goods; and charged a "commercial factor" on ice cream and other products. The court decision states, "The vast majority of then existing franchisees accepted the terms of the program, and executed conversion agreements that included terms requiring franchisees to pay to Baskin a 'commercial factor' on its ice cream and related products. Today, the number of franchisees remaining subject to these conversion agreements is close to zero." The judge explains that beginning in 2000, new and renewing franchisees have entered into franchise agreements that do not contain the terms "commercial factor" or "commercial factor fee." At that time, Baskin also ceased production of ice cream, and outsourced the manufacturing and wholesale distribution of its proprietary products to Dean Foods. Pursuant to the current franchise agreements, franchisees must purchase all of their ice cream and related products from Dean Foods. He adds that Dean Foods pays a fee to Baskin based on the volume of sales to franchisees. He states, "This basic arrangement has been in effect for approximately 16 years." Judge Young states that in 2016, franchisees paid a "commercial factor" of $1.26 per tub of ice cream, and $6.52 per case of Pastry Pride Non-Dairy Whip Topping. "Each agreement contains an integration and merger clause, which provides that the agreement can only be modified by writing signed by the parties," he explains. He gives as example the 2000 agreement stating the agreement "shall be the entire, full and complete agreement between franchisor and franchisee" and supersedes all prior agreements, and there are no representations, inducements, promises or agreements . . . between the parties. Should regulators look into this latest method of franchisors collecting fees? Peter J. Klarfeld of Gray Plant Mooty in Washington D.C., representing Baskin-Robbins, agreed to respond to Blue MauMau's questions regard the court decision on the issue of franchisors charging "commercial factor" on its ice cream and other products as a method of collecting additional monies from franchisees. After emailing questions to him, asking does Baskin-Robbins feel most franchisees understand what it means to them to be charged a "commercial factor," and does Baskin-Robbins have a duty to make sure franchisees understand the charge, he then responded that he and his client Baskin-Robbin decided not to comment, although they appreciated Blue MauMau affording them the opportunity to do so. Klarfeld was asked if there had recently been any discussion on commercial factor at legal forums and symposiums? Although he did not respond to that question, attorney Greenfeld did address the topic stating the Baskin-Robbins case does raise bigger issues. "Franchisors are finding all means of collecting monies from franchisees beyond royalty and advertising fees. Not just the courts have to get involved. Regulators need to take a close look at these fees. When it is ultimately the franchisee that must pay, it comes out of the franchisee's pocket. The entire purpose of disclosing very specific figures as to what Franchisees pay in terms of royalties, advertising and other fees gets circumvented, really eviscerated, by these kinds of arrangements." Dunkin' Brands Group, Inc. (Nasdaq: DNKN) is the parent company of Dunkin' Donuts and Baskin Robbins, with more than 12,300 Dunkin' stores and 7,800 Baskin-Robbins, as of the second quarter of 2017. Its website states the Canton, Massachusetts-based Dunkin' Brands has more than 20,000 points of distribution in more than 60 countries worldwide. Yesterday, the company announced it has now completed its securitization refinancing as planned. *Attorney Peter Greenfeld reported today the association will not be appealing the court decision.